While NASA may be out of money and all but abandoning most projects for the time being, there are still plenty of dedicated scientists and space enthusiasts willing to give up their own time and money to revive a nearly-forgotten old spacecraft. NASA launched the ISEE-3 satellite in 1978 to track solar winds, then some years later more or less abandoned in space by NASA. Believing that ISEE-3 could still provide invaluable information about what’s happening in Earth’s orbit, the group launched a crowdfunding campaign to get the satellite back up and running. Scientists, engineers, and programmers are all lending their expertise to the project. Although NASA has made it clear that they don’t have the time or financial resources to back the project, they have also made it known that they see the satellite’s resurrection as a potentially important source of information. To achieve their goal, the satellite enthusiasts started a crowdfunding campaign to get the ISEE-3 satellite back up and running once again. 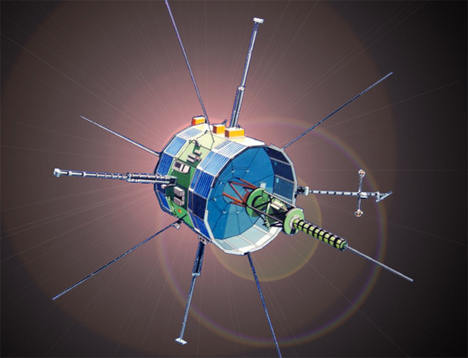 Although the project is quite ambitious and complicated, the team behind the ISEE-3 Reboot Project believe that they can re-establish communication with the satellite by July, 2014. The date is important because the satellite is due to make a very, very close flyby past the moon around that timeframe. It is expected to fly a mere 50 km from the moon but actually has a chance of colliding with it if the ISEE-3 isn’t re-activated and redirected by then. As such, the team has to work very quickly to establish contact with the satellite and reprogram its trajectory. 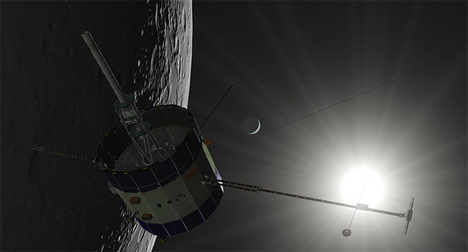 If all goes well, the ISEE-3 will pick up where it left off, gathering vital information about solar winds. If the project fails, the scientists may have to wait another three or four decades before the satellite again enters the area in which it can be reached, reactivated, and re-routed. Although the timeframe is tight, the team raised well more than their goal of $125,000 to make the project happen. If they are successful, this former piece of space junk will once again begin contributing important information to science. See more in Space & Time or under Science. May, 2014.